*Happy St. Patrick’s Day. I really didn’t do a whole lot to celebrate, except wear a green pin, and have a St. Patrick’s-themed soup for dinner. It did get me thinking how there are people who embrace this holiday, and the celebration of it is a big part of their lives. But not so much for me. *My day began with a wonderful conversation with my friend April M Lee who lives in Italy. There was a lot of things I wanted to talk to her about, and it was easier to talk than to write it out. But schedule a call can be a little tricky because she lives 8 hours ahead of me, but we figured it out, and our hour plus conversation was really good. *I decided I could start on my taxes and try and get them done today. While Travis, Molly and their niece Zoe were getting packed up and ready to go, I was muddling my way through my federal income tax. I am not able to finish, as I am waiting for Cosette to send me a couple forms....then I can proceed. It will be nice to get that completed. *It was so nice having Travis, Molly here for most of the week. As your children get older and live in a different part of the state, you realize time with them becomes less and less, just because of their choices and the nature of their lives. I am sure all parents go through this, but that doesn’t mean it is easy. *The afternoon was spent watching more episodes of Broadchurch and knitting. I am really enjoying Broadchurch. 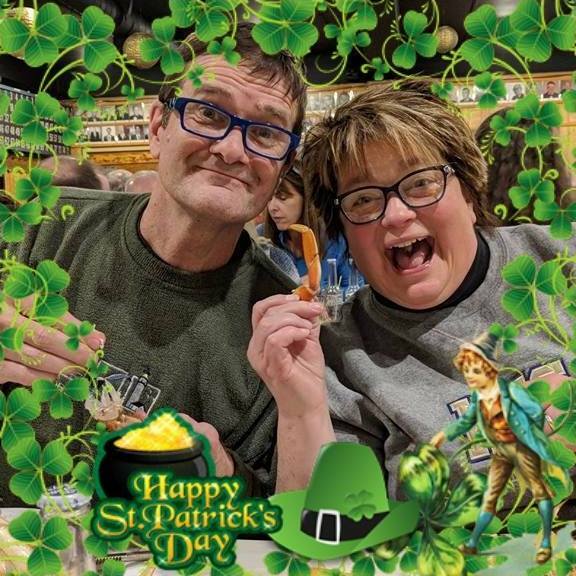 *Around 4:30 p.m., Paul and I headed over to Christy and Everett’s house for Corned Beef and Cabbage soup, salad, and to watch the Gonzaga Bulldogs play the Ohio State Buckeyes in the NCAA tournament. Bill and Debbie joined us as well. Paul stayed until he had to head up to the theater for his show. *When I returned home, it was back to knitting and finishing up the first season of Broadchurch. The entire show is a murder mystery, and the murderer is revealed in the final episode. It was so well done, and really captured the spirit of a small town, and how things happen in a situation like this, where one of their citizens has been murdered. I look forward to the next two seasons.